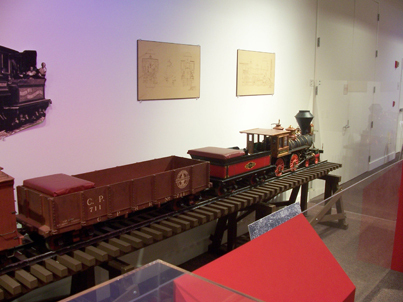 The exhibition was created through the pooled efforts of the Western Division of the Train Collectors of America, the Richard Nixon Library & Birthplace Foundation, and the Richard Nixon Presidential Library and Museum. "We appreciate all of the hard work that the volunteers from the TCA put into this exhibit, and the support of the Nixon foundation as well," curator Olivia Anastasiadis said. 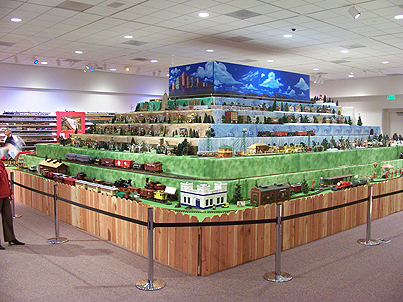 A reprisal of a successful 2006 display of miniature trains, this year’s show included a re-design of the space, with a “Mountain of Trains” featuring a multi-tiered platform 13’ tall by 40’ long by 32’ wide running more than 25 trains on 1,500 feet of track. 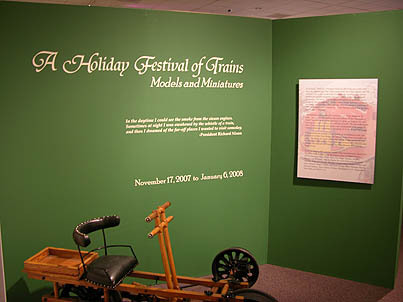 Featured trains included Lionel’s Hogwarts Express and Lego’s® Hogwarts Castle from the Harry Potter series; the San Francisco Golden Gate bridge with lighted vehicles; a special Presidential helipad with Presidential helicopters and vehicles, and Bachmann’s “Whoville Special,” How the Grinch Stole Christmas Train HO set. 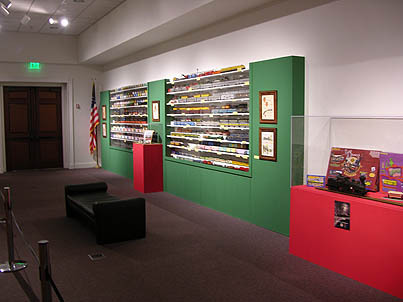 Additional visitor favorites included the Polar Express and Thomas the Tank Engine sets along with over 100 scenic miniatures from Dept. 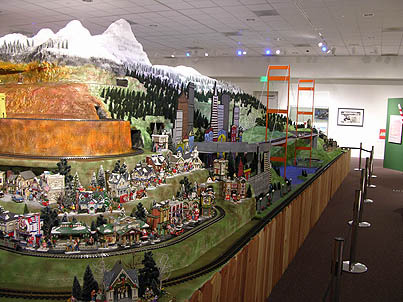 56, including North Pole, Dickens Village, Christmas in the City, Snow Village and Halloween. 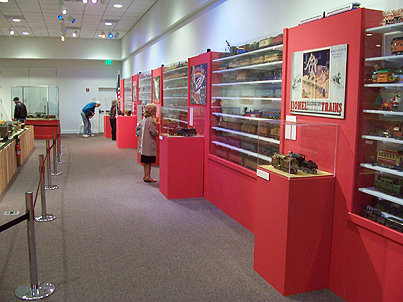 Wall cases were added to include a rare combination of six gauges favored by collectors, together in one exhibition, including: G, Standard, O, S, ON30, and HO gauge; cast iron floor trains from the 1890s, and rare wind-up trains from the early 1900s; early 1920s Ives engine and passenger cars, known for rich lithography; MTH tinplate, standard gauge train sets and accessories, and a Buddy L locomotive, tender, and cars from the early 1930s.